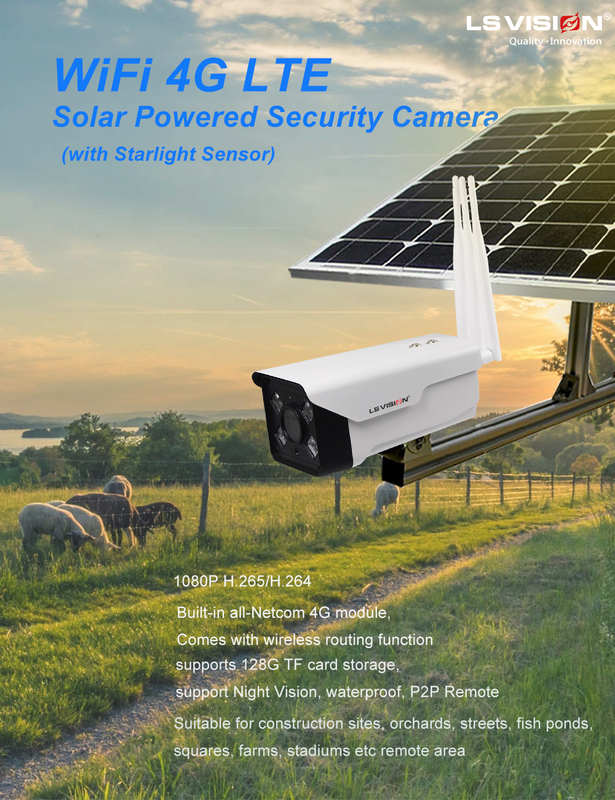 LS VISION released the latest starlight 4G LTE Solar Powered Security Camera in early 2019, , which was upgraded on the image sensor based on the original low power consumption and 4G LTE frequency band. It was equipped with 1/2.8" Sony IMX307 Starlight sensor and 2MP Hisilicon Hi3516E chipest. The Sony IMX307 Starlight sensor has excellent night vision performance, ultra-low illumination and better night time monitoring. And this wireless solar camera with F1.2 4mm Starlight lens. night vision effect is clearer and surveillance distance is farther. night vision distance up to 30-50 meters. 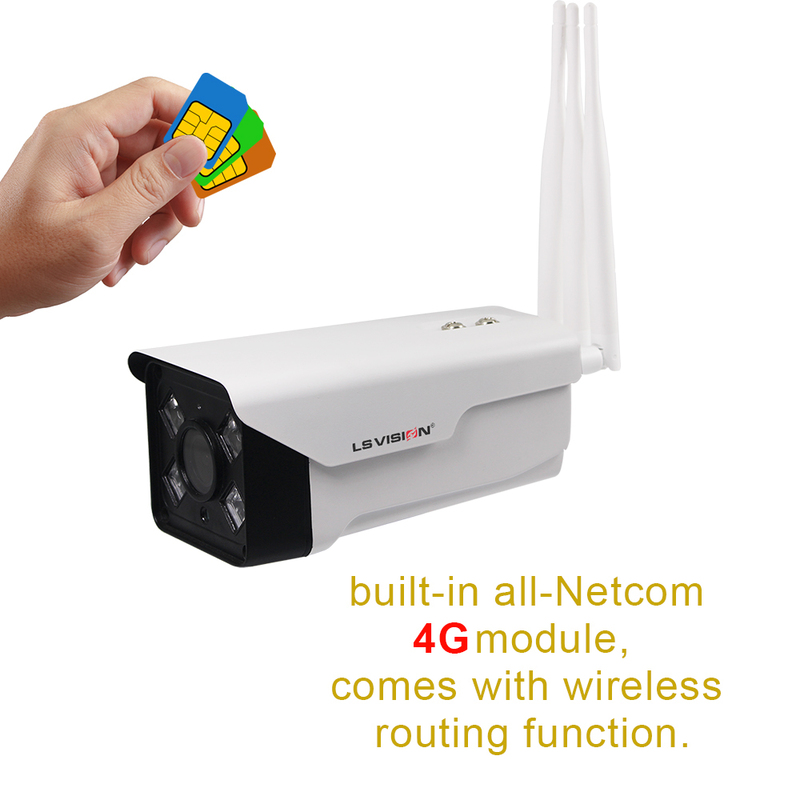 At the same time, this new type of 4g wifi Solar Camera not only support WiFi signal transmission (with 1pc RJ45 10M / 100M Adaptive Ethernet port, 2412MHz-2472MHz，802.11b/g/n，The maximum transfer rate is up to 72Mbp), but also support 4G signal transmission. It uses industrial-grade 4G module with strong signal and long service life, it can be normal used even in remote areas without network. support 4G all Netcom, support telecommunications, Unicom, mobile 4G (FDD-LTE, TDD-LTE, ), 3G (WCDMA/HSPA+, TD-SCDMA), 2G (GSM/GPRS/EDG), support Europe \ US \Japan \ African 4G standards; Operating frequency include LTE B1/B3/B8/B38/B39/B40/B41, WCDMA, 2100/900MHz,TD-SCDMA B34/B39，GSM/GPRS/EDGE: 900/ 1800MHz. 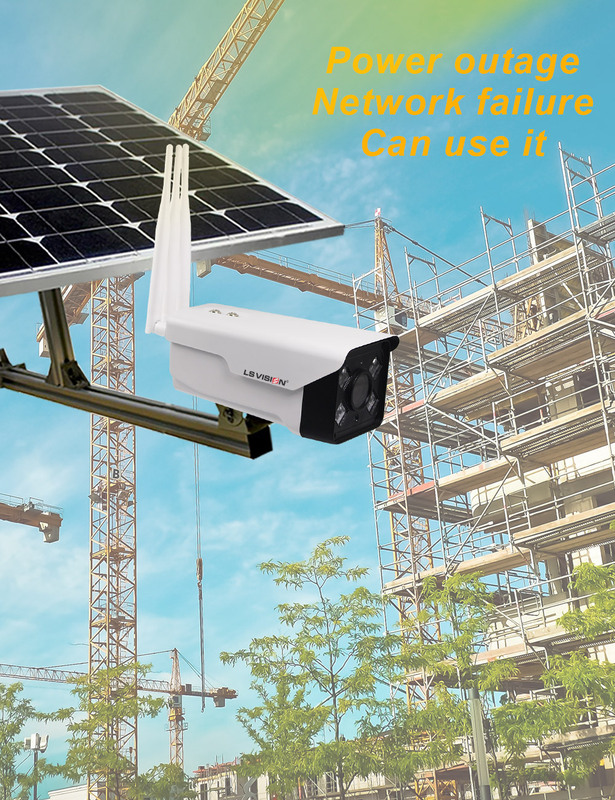 At present, 4g wireless solar cameras for indoor or outdoor waterproof surveillance, it are widely used in mining, oil and gas, construction, road traffic, agriculture, farms, orchards and other areas with remote network coverage, so our 4G Solar Security Cameras support P2P remote check, Built-in Web client, can view the 4G signal strength, modify the login password, wireless access password and others, can achieve through NVR, P2P HD monitoring management software, Through IE browser can adjust saturation, brightness, contrast,sharpness. so you can view the video and control the 4g wireless solar security camera anytime, anywhere. This starlight wireless waterproof solar panel security camera, Compatible with ONVIF protocol, Can be compatible with most of the mainstream network video recorders on the market, such as back-end monitoring storage devices can provide the SDK, standard with SD/TF memory card slot (support max 128GB card), two way audio optional function, with Motion detection, mask alarm, network cable break, IP address conflict, storage card is full, storage device is wrong and other Intelligent alarm function. 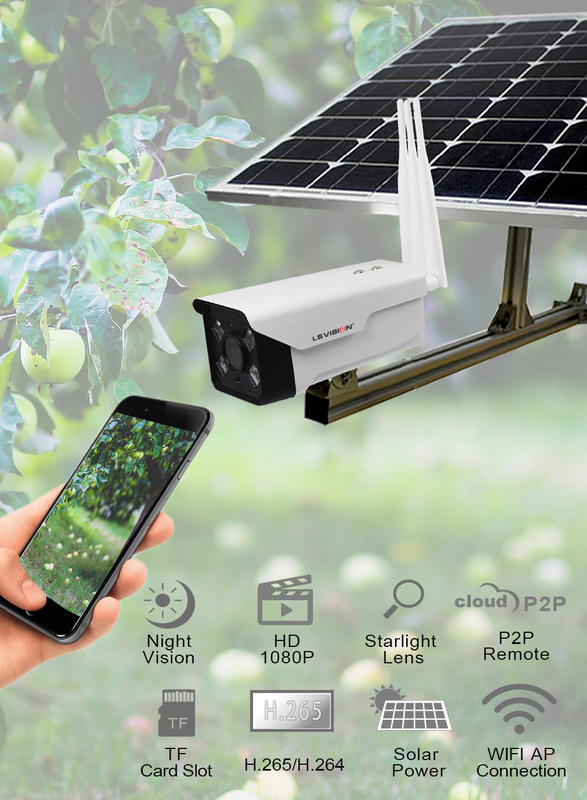 In addition, the 4g wifi solar camera has full HD (2mp 1080P) image processing technology, combined with high-fidelity H.265 video encoding and storage compression, so make recorded videos and pictures clear and delicate, improving night time detail clarity, making every second video valuable at critical moments.